According to The Russian Association for Electronic Communications (RAEC), the Runet’s (Russian term for Internet in Russian language) aggregate revenue 2014 is approximately at the level of 2013 amounting to about 14.6 million EURO. The revenue of Internet dependent segments such as Internet access providers, e-commerce etc. has grown from 76 million EURO to 102 million EURO. According to experts, about 1.3 million people including freelancers work for companies in the Internet industry. E-commerce covers 65% of the Russian Internet services market. Online-retail, electronic payments and digital content (video, music, books) are the most developing segments. Credinform estimates that currently there are approximately 11,500 legal entities and sole entrepreneurs engaged in e-commerce in Russia. Online travel is also one of the most promising sectors, especially following the much talked about large travel agency bankruptcies. According to Mr. Plutogarenko, head of RAEC, the aggregated revenue of the e-commerce sector as of 2014 has increased by 42% and amounted to 9.4 million EURO. Thanks to the search engine advertising, video advertising and marketing services in social media, the Internet advertising sector has grown 18% in 2014. While the media advertising sector declined by 5% compared to 2013. 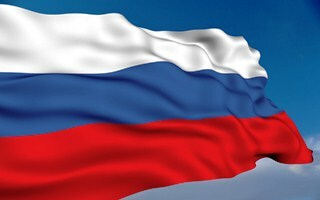 Experts also estimate a 7% annual growth of the Internet user community in Russia. 2014 statistics show that 73 million people use the Internet. According to a highly probable forecast, the number of Russian Internet users will increase by 3% and will reach 76 million people by 2020. Russia’s internet users are using different gadgets simultaneously: computers and lap-tops, pads and mobile devices. Mobile Internet is becoming more and more popular: based on expert opinion, in 2014, 9% of users used mobile devices only. RAEC experts forecasted an increase of the Russian Internet market revenue of approximately 20.7 million EURO by the end of 2014. Currently the Runet is in a crisis mode, as Mr. Plutogarenko notes, and thus anticipates only a 8-10% growth rate.